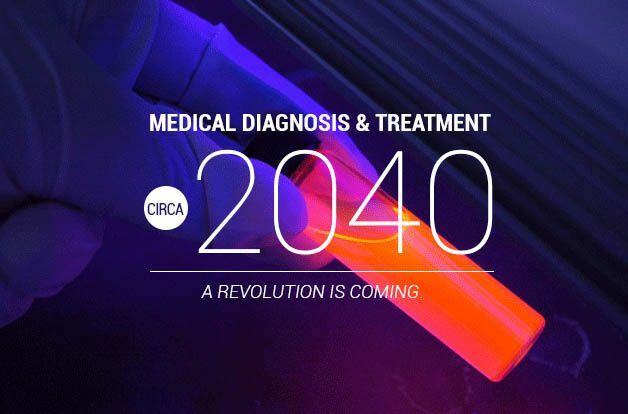 A revolution is coming in medical diagnosis and treatment of chronic illnesses. Science is already on its leading edge, but it will take mainstream medicine another 20 years to catch up. Everything about how a person with chronic illness is diagnosed and treated will change. Presently, the medical system relies on a complex and sometimes dysfunctional system of grouping indicators of illness into specific diagnoses. Because the margins between one illness and another are often blurred, patients are often left in a no man’s land of not having a diagnosis or waiting for more tests to define a diagnosis. This is remarkably frustrating for providers and patients alike — for without a firm diagnosis, treatment cannot proceed. Medical diagnoses are arrived upon by meeting criteria that may include symptoms, signs on physical exam, lab tests, and other diagnostic procedures, such as x-rays. The process of arriving at a diagnosis can be quite laborious and expensive. During the diagnostic time interval, the patient may receive therapy to relieve symptoms, but little else. It can be quite stressful. Many people never receive a definitive diagnosis at all. Medical treatments, mostly synthetic drugs and surgery, are predominantly designed to artificially block processes of illness — diagnostic protocols are designed to identify those processes to guide proper therapy. Because there are thousands of processes in the body that can go wrong (often simultaneously), there are thousands of different possible diagnoses and thousands of different treatment protocols. It’s all quite complicated, quite expensive, and quite confusing. Treatment typically involves multiple drug therapies, with all the side effects that come with them. Even in best-case scenario, the result is usually a state of chronic managed illness, not restoration of wellness. And if a patient never receives a diagnosis, the most that will ever be offered is therapies to relieve symptoms. My perspective about illness changed after a long struggle with chronic Lyme disease. In the beginning, I didn’t have a diagnosis — all the medical system could offer was drugs to control symptoms, nothing more. Things weren’t much better after finally being diagnosed with Lyme disease — I didn’t tolerate antibiotics, and later recognized that antibiotics are not a good fit for chronic Lyme disease. After years of research, I came to appreciate that my chronic Lyme disease resulted from my immune system being chronically disrupted, not from an infection with a specific microbe. 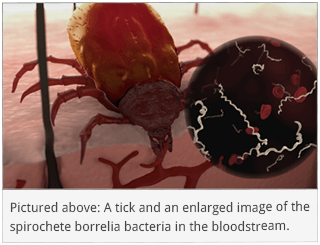 I had been carrying the Borrelia, the microbe commonly associated with Lyme disease, and other microbes for a very long time without being ill. It wasn’t until sleep deprivation from excessive night call as an OB/GYN, and other stress factors, caught up with me that I became sick. And it wasn’t until I addressed the underlying causes of the chronic immune dysfunction that I finally became well. This was a fundamental departure from everything I had learned in medical school. In medical school, I was taught all the complex processes in the human body. I studied all the illnesses that can occur in the body when those processes break down. And how to inhibit those abnormal processes with drug therapy. But I never learned what caused processes in the body to break down in the first place. It took 10 years of suffering from chronic Lyme disease to teach me that. Over many years, I searched for all potential root causes of not only chronic Lyme disease, but for chronic illness in general. My findings show that even though there is almost an infinite number of processes that can go wrong in the body, the underlying causes of why those processes go bad are finite. I gradually compiled a list of the primary factors that cause illness. I called these factors System Disruptors. I have only been able to uncover seven distinct categories of system disruptors. As I came to view chronic illness from the point of view of understanding the underlying causes, specific diagnoses became less relevant. Investigating the list of System Disruptors became part of my standard patient evaluation. Instead of defining how a patient was ill, I wanted to understand why the patient became ill in the first place. With this information, I could help the patient back to wellness. I have continued searching for holes in my theory, but also evidence supporting it. Interestingly, it appears science is moving in the same direction that I am. Over the past five years, there has been a wealth of new studies, hundreds of them, that support this view of illness and aging. Every day the picture becomes clearer. Explaining illness isn’t as complicated as you might think. Illness and aging are a function of genetics, accumulation of aging cells, microbiome imbalances, and immune system disruption caused by System Disruptors. With the exception of rare genetic defects, most everyone starts with a functional set of genes. Our genes define everything about us, including our risk of different diseases. Genetics alone, however, is not a cause of illness. People do not become ill unless specific stress factors (i.e. System Disruptors) affect genes in a way that disrupts processes in the body. In other words, genes are the hand that life deals you in life, but how that hand is played out will influence how quickly you age and whether you will become ill.
All cell lines in the body go through a series of cell divisions that ultimately reach an endpoint where the remaining cells can no longer divide. It is the job of the immune system to take out these aged-out cells and allow them to be replaced with new cells. This doesn’t always happen, however. As we go through life, we accumulate aged-out cells (called senescent cells) that are functional, but only marginally functional. Aging is partially a result of accumulating aged-out cells. How quickly we accumulate aged-out cells depends on exposure to System Disruptors and how well the immune system is functioning. The microbiome plays a huge role in illness and aging. The microbiome is the collection of all the microbes in the body. Every person inherits microbes from his or her mother at birth. From that point, we collect microbes throughout life — we are all microbe collectors. Every scratch, insect bite, contact with another person, or gulp of contaminated food or water, microbes enter the body. Not all of the microbes we collect are friendly. Some foreign microbes will be taken out directly by the immune system, but many others slip through the cracks and become an ill-fitting part of our microbiomes. As long as immune functions are healthy, these potential pathogens stay marginalized, but if immune functions falter or decline, they flourish. We are all affected by System Disruptors as we go through life. 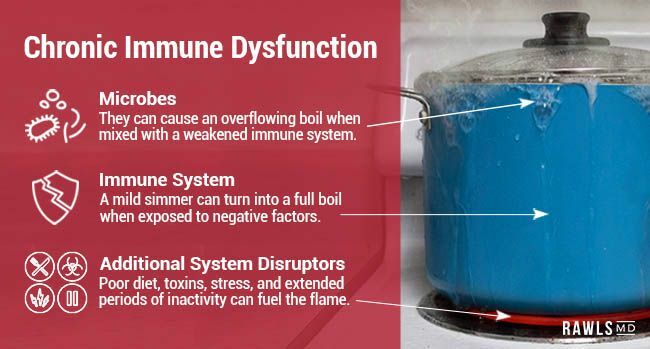 System Disruptors disrupt all systems in the body, but especially disrupt immune system functions. System Disruptors also cause cells to age out. If immune system functions become disrupted, general maintenance function in the body go unattended, removal of aged-out cells doesn’t keep pace, and marginal microbes in the body start to flourish. Marginal microbes are different than normal flora in that they occur in very low concentrations throughout tissues of the body. When suppressed, they cause no symptoms, but when allowed to flourish, they cause symptoms throughout the body. This is what occurs in chronic Lyme disease, but studies are now finding links to this process with many other chronic illnesses. In the vicious cycle that results, aged-out cells accumulate faster, marginal microbes flourish, and immune system functions are compromised even more. Every system in the body is adversely affected. Because so many processes in the body can be affected by these factors, a nearly infinite number of illnesses can result. What types of illness a person ends up with depends on that person’s genetic profile, how system disruptors have come together, and the spectrum of marginal microbes that have been added to the microbiome — some are worse than others. When you start looking at illness and aging from point of view of cause, our present system of diagnosis and treatment of illness exclusively with synthetic drugs and surgery seems antiquated. The status quo, however, is very slow to change and I predict that it will take another twenty years for the conventional medical system to catch up with current science. When it happens, defining a specific diagnosis will become less relevant. Deciding whether a person has chronic Lyme disease, fibromyalgia, or some other illness will become obsolete. The present diagnostic system will become irrelevant. The analysis will reveal a diagnosis that is completely unique to the individual. Terms like chronic Lyme disease, fibromyalgia, and different autoimmune illness names will be obsolete. Complete analyses will be done on the spot and treatments will begin immediately — no more waiting for a diagnosis! Information obtained from complete analysis will guide a treatment protocol that is very specific to that person’s illness. Treatments will be directed toward restoring normal immune functions, balancing the microbiome, and reducing the percentage of aged-out cells. All systems will come back into balance naturally, and symptoms will resolve. Artificially blocking abnormal pathways of disease to reduce symptoms will be less necessary. Therapies will likely include sophisticated immunomodulating drugs, but also modernized natural herbal therapies. I wouldn’t be surprised if energy therapies, such as pulsed electromagnetic field therapy (PEMF) and cold laser, become an essential part of mainstream therapy. Working with a certified health coach to minimize the negative effects of System Disruptors will also be part of the standard of care. The goal of therapy will be restoration of complete wellness, instead of supporting a state of managed illness. Most of the science is already in place. There is little doubt that System Disruptors, chronic immune dysfunction, accumulation of aged-out cells, and microbiome imbalances are central to aging and occurrence of illness. It is possible to start acting now. You can become aware of System Disruptors and minimize the harm they cause. Herbal therapy is more available and more refined than ever before in history. Energy therapies, such as PEMF and cold laser, are becoming widely available. Be proactive. Join communities that are already embracing this lifestyle. Be vocal — change will only happen if enough people demand it — otherwise, the status quo will never change. 1. de Almeida AJPO, Ribeiro TP1, de Medeiros IA. Aging: Molecular Pathways and Implications on the Cardiovascular System. Oxid Med Cell Longev. 2017;2017:7941563. 2. Haifeng Li et al.Polysaccharides from Medicinal Herbs As Potential Therapeutics for Aging and Age-Related Neurodegeneration. Rejuvenation Res. 2014 Apr 1; 17(2): 201–204. 3. Ho YS1, So KF, Chang RC. 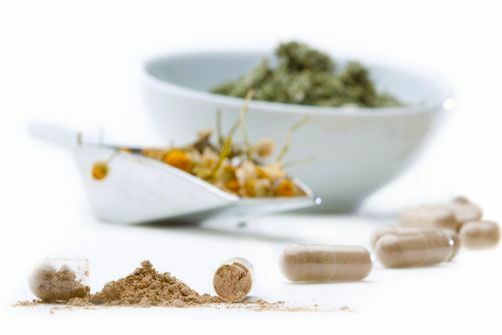 Anti-aging herbal medicine–how and why can they be used in aging-associated neurodegenerative diseases? Ageing Res Rev. 2010 Jul;9(3):354-62. 5. Ziegler DV1, Wiley CD, Velarde MC.Mitochondrial effectors of cellular senescence: beyond the free radical theory of aging. Aging Cell. 2015 Feb;14(1):1-7. 6. Plohnke N et al. Proteomic analysis of mitochondria from senescent Podospora anserina casts new light on ROS dependent aging mechanisms. Exp Gerontol. 2014 Aug;56:13-25. 7. Hussain El Hasasna et al. Rhus coriaria induces senescence and autophagic cell death in breast cancer cells through a mechanism involving p38 and ERK1/2 activation. Nature.com. Scientific Reports 5, Article number: 13013 (2015). 8. Sagiv A1, Krizhanovsky V. Immunosurveillance of senescent cells: the bright side of the senescence program. Biogerontology. 2013 Dec;14(6):617-28. 9. Solana R1, Mariani E.NK and NK/T cells in human senescence. Vaccine. 2000 Feb 25;18(16):1613-20. 10. Solana R1, Alonso MC, Peña J. Natural killer cells in healthy aging. Exp Gerontol. 1999 Jun;34(3):435-43. 11. Aunan JR et al. Molecular and biological hallmarks of ageing. Br J Surg. 2016 Jan;103(2):e29-46. 12. Fernández del Río L et al. Olive Oil and the Hallmarks of Aging. Molecules. 2016 Jan 29;21(2):163. 13. Oh J, Lee YD, Wagers AJ. Stem cell aging: mechanisms, regulators and therapeutic opportunities. Nat Med. 2014 Aug;20(8):870-80. 14. Babizhayev MA1, Vishnyakova KS, Yegorov YE. Telomere-dependent senescent phenotype of lens epithelial cells as a biological marker of aging and cataractogenesis: the role of oxidative stress intensity and specific mechanism of phospholipid hydroperoxide toxicity in lens and aqueous. Fundam Clin Pharmacol. 2011 Apr;25(2):139-62. 15. Donato AJ et al. Cellular and molecular biology of aging endothelial cells. J Mol Cell Cardiol. 2015 Dec;89(Pt B):122-35. 16. Hu B et al. Liver Yin deficiency tonifying herbal extract induces apoptosis and cell senescence in Bel-7402 human hepatocarcinoma cells. Exp Ther Med. 2012 Jan; 3(1): 80–86. 17. Schwager J et al. Resveratrol distinctively modulates the inflammatory profiles of immune and endothelial cells. BMC Complement Altern Med. 2017 Jun 13;17(1):309. 18. Zapata HJ1, Quagliarello VJ. The microbiota and microbiome in aging: potential implications in health and age-related diseases. J Am Geriatr Soc. 2015 Apr;63(4):776-81. 19. Shoemark DK1, Allen SJ. The microbiome and disease: reviewing the links between the oral microbiome, aging, and Alzheimer’s disease. J Alzheimers Dis. 2015;43(3):725-38. 20. Stavropoulou E1,2,3, Bezirtzoglou E. Human microbiota in aging and infection: A review. Crit Rev Food Sci Nutr. 2017 Sep 14:0. 21. Marizzoni M et al. Microbiota and neurodegenerative diseases. Curr Opin Neurol. 2017 Sep 12.